Assalamo Alaikum Wa Rahmatullahi Wa barkatuh! 3rd January is the Rohingya National Day, a very important day for our people. It is indeed a great privilege and honour for me to send a message of congratulations to all Rohingya brothers and sisters, at home and abroad, on this auspicious occasion. On November 22, 2018, the Rohingya news agency Kaladan Press Network released a report “the Killing Fields of Alethankyaw,” which exposed atrocities by Burmese government security forces at the Telenor telecommunication tower premises in Alethankyaw village, southern Maungdaw, in August 2017. Snipers climbed the tower to shoot at fleeing men, women and children, and villagers’ bodies were deposited under the tower. In a funeral of Buddhist monk on 27th November, Myanmar Union Minister for Religious Affairs and Culture Thura U Aung Ko had desecrated Islam labelling it extremist religion and insulted the Muslims accusing them of marrying 3-4 wives, at a time, and producing 15-20 children. He senselessly said the Buddhists will become a minority in Myanmar within 30 to 50 years. My name is Nurul Islam. I am Rohingya. I am Chairman of the Arakan Rohingya National Organisation (ARNO). I was born in Muangdaw township of Rakhine State, in a country then called Burma and now called Myanmar. From the birth of the State on January 4th, 1948, my people have been nationals of Burma now Myanmar. We were loyal participants in the national political processes, for which we had recognized Political Parties and, until 2015, we voted in elections. We have not and do not seek to separate from the Union of Myanmar. Unfortunately, my people have been subjected to systematic persecution for half a century including the steady suspension of almost all our human rights, including freedoms to marry, have children, education, movement and so much else. In addition to the violation of our human rights, we have been subjected to the effective withdrawal of our citizenship. Ultimately, we have been subjected to the destruction of our community – to genocide. 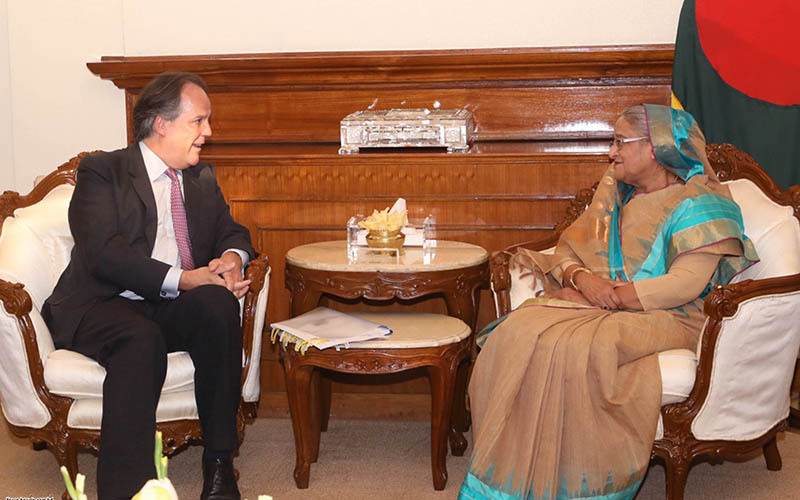 On behalf of the Rohingya people, we would like to express regret and disgust at Myanmar’s policy of continuously blaming Bangladesh for the failure of repatriation of Rohingya refugees. As we all know, the ground reality in Arakan (Rakhine) State makes repatriation of Rohingya refugees impossible as the brutal state machinery continues their genocide of the defenceless Muslim community, a policy in place for more than half a century. The sad truth is that Myanmar government has no intention of creating condition for sustainable repatriation and is responsible for failed repatriation and deserving of blame. We strongly condemn it. Representatives for the Arakan Rohingya National Organisation (ARNO) have completed a two-week advocacy tour to the United States and United Nations, to galvanize international action to end the Rohingya genocide and ensure a sustainable, voluntary and protected return home for more than 1 million Rohingya refugees forced from Myanmar. “We came to the United States and the United Nations with a clear message: In the face of genocide, there is no time to wait. Much more must be done to support the Rohingya’s calls for justice, dignity and a safe, voluntary and protected return home. 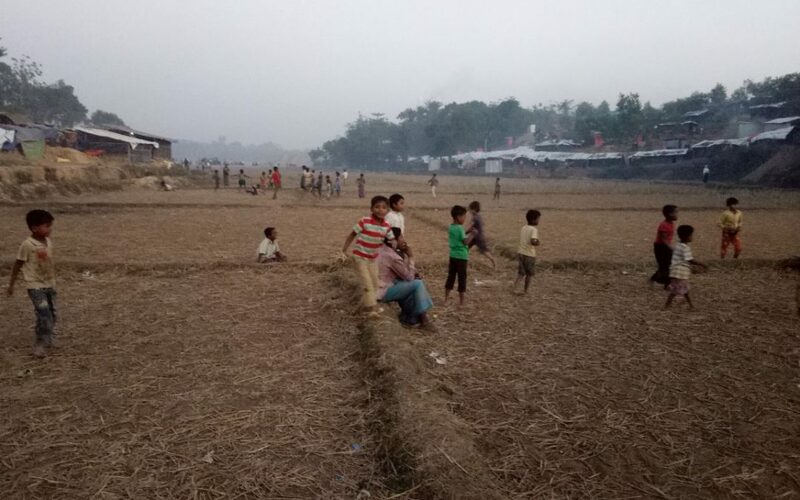 Conditions on the ground are worsening—both inside Myanmar and in the refugee camps of Cox’s Bazar. Victims are increasingly impatient to see perpetrators of genocide and war criminals held to account. At the same time, Myanmar continues to waste time with sham reforms, and shows zero will to create the conditions needed to solve this crisis”. The Rohingya are not going home to Myanmar. Can Bangladesh cope? Despite the atrocities being committed against the Muslims of Arakan, better known as Rohingyas, the international community has so far done nothing to protect these people. The world appears to be sitting on the fence, as these people are being systematically persecuted. 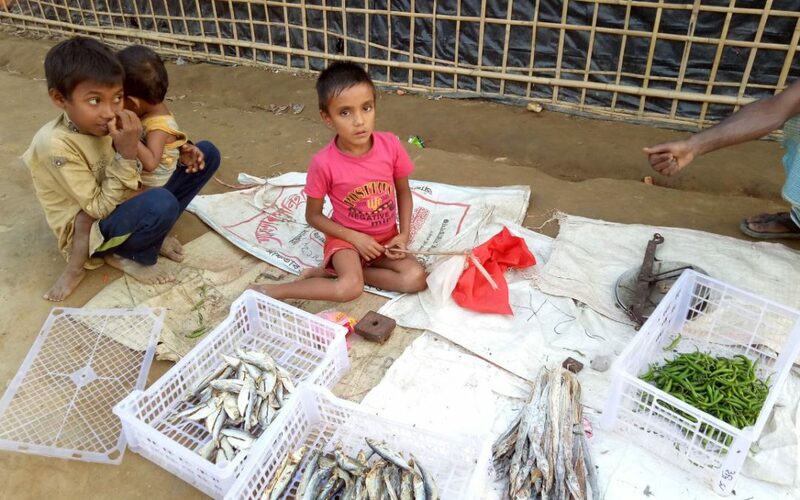 This minority Muslim community in Myanmar — termed the most persecuted people living on the face of earth — has been turned into refugees in their own country. The Rohingyas are a people with no civil rights and from time to time subjected to indiscriminate violence. The world became slightly acquainted with these people following the violent attacks and acts of arson of 2012. In his book – Worse Than War – Daniel Jonah Goldhagen says that during mass murders, the murderers themselves, their supporters and those who wish to stand idly by practice linguistic camouflage. And this has been the case with the apartheid regime in Myanmar when it comes to its national project towards exterminating or purging out the Rohingyas. Muslim Arakanese or Rohingya are indigenous to Arakan. Having genealogical linkup with the people of Wesali or Vesali kingdom of Arakan, the Rohingya of today are a perfect example of its ancient inhabitants. In recent months, series of anti-Rohingya campaigns afloat inside and outside of Burma. To the surprise of everyone, inflammatory writings are often posted on a few websites, face books and blogs that reveal deep-seated ill-will against the peace loving Rohingyas. During recent years we have read series of depraved propagandas by a group of fanatics, who are restless to tarnish the image of the Rohingya people, under the pretext of so-called scholars/academics/Burmese experts preaching annihilation of the Rohingyas, a predominantly Muslim community in Arakan, Burma. One of them is U Khin Maung Saw, a Rakhine Buddhist living in Berlin, who recently wrote a foul-mouthed and blasphemous paper titled Islamization of Burma Through Chittagonian Bengalis as “Rohingya Refugees”. Lately, Rakhines of Arakan “Protest against the BBC and demand apology” for showing Rohingyas in the Burma map. But why apology? For showing the Rohingya homeland in Arakan? I understand that BBC knew all about the Rakhine-Rohingya problems and also that the ultranationalist Rakhine’s sucess in convincing the Burmese military to declare the Rohingyas as the noncitizens of Burma. Not surprisingly, showing the Rohingya existance in Arakan only flamed the racist fire. But the BBC was polite enough to not say openly that Arakan is the epicentre of refugee production in South Asia and South East Asia and it is the Rakhine-Moghs to blame..
Khin Maung Saw's thesis on trying to de-legitimatize the Rohingya history in Arakan is not new. For the last three years, as an obsessed, xenophobic Rakhine, much given to pen-pushing, and spread of hateful messages, he is known for trying his best to re-write history that would obliterate Rohingya's historicity in today's Arakan. His pseudo-history has been already refuted by others. Burmese invasion of Arakan and the rise of non Bengali settlements in Bangladesh Origin of the Tribes of Chittaging Hill Tract (CHT) By Abid Bahar, Canada Introduction: Arakan was a medieval kingdom located at the edge of South Asia became a province of Burma after the Burmese invasion in 1784 and the subsequent annexation of it with Burma. To the people of India and Bangladesh, Arakan became sadly memorable for the tragic massacre of the Moghul prince Shah Suja and his entire family by the Arakanese king Sandathudamma. It is important to note that Shah Suja before taking shelter in Arakan was the Moghul Govornor of Bengal (1639-60) and was being chased by the Moghal General Mir Jumbla. Suja was given the assurance of assylum by the Arakanese Mogh king. In ancient times dark skinned people dotted around the coastal regions from Africa, south India, up to the Papua New Genia. Under attack from the light skinned organized band of people from the north against these dark skinned Negroids (seen not being quite human, or at best demons,) these people continued to retreat to the coastal areas and in some places under pressure slowly disappeared. In Malaysia, the majority muslim population is a crossbreeds between these dark skinned people with Indian, Arab, Negroid, and Mongoloid population. The advent of Islam in Arakan and the Rohingya presented at the Seminar organised by Arakan Historical Society at Chittagong Zila Parishad Hall, Chittagong, on December 31, 1995, with Co-operation Chittagong University. Myanmar President Thein Sein denied on Friday accusations of ethnic cleansing against Rohingya Muslims, saying the claims were part of a “smear campaign” against his government. On a visit to Paris, Sein told France 24 television that his government was not guilty of the charges. “Outside elements are just exaggerating, fabricating news, there is no ethnic cleansing whatsoever,” he said. In April, Human Rights Watch accused Myanmar of “a campaign of ethnic cleansing” against the Rohingya. Sittwe: The military government announced yesterday the results of the matriculation exam for the 2007 – 08 school year, but 80 percent of students in Arakan State failed the exam, said an education worker in Sittwe. He said, "No more than 20 percent of students in Arakan State passed the exam, and 80 percent failed this last matriculation exam." Myanmar (formerly known as Burma) has a population of 48 million, 15 percent of whom are Muslims. Most of the rest are Buddhists. 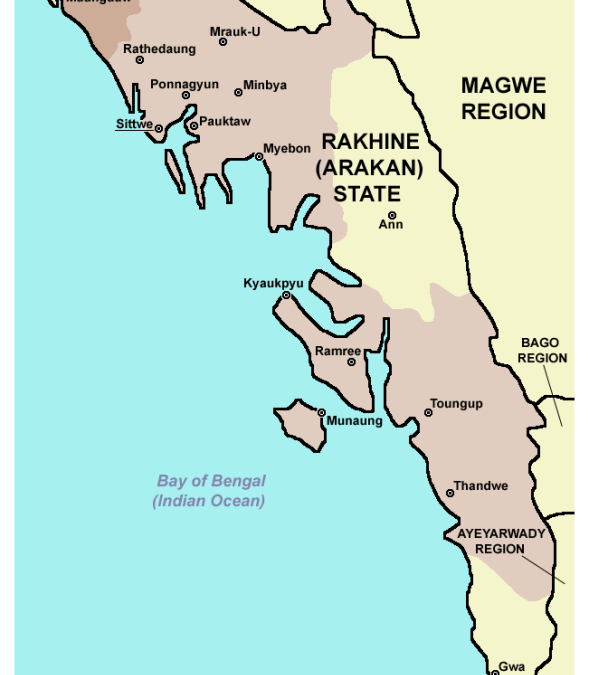 The Muslims live in the Arakan region of the country. For centuries, before the current poisonous situation in which one community does not recognize another, Arakan was a place of harmony and mutual trust in which the two major religious communities (Rakhine Buddhists and Rohingya Muslims) thrived side by side as sister communities. All this happened because of the first of the Mrauk-U kings who had sought and got help from the Muslim Sultan of Bengal in 1430 CE to restore his kingdom. In the centuries that were to follow, the minority Muslims became essentially the royal guards, generals, ministers and advisers.